We love our myths and legends here in Romania and are really fond of them. We are also very proud of our nation. Myself grew up to the countryside and I still can remember the long discussions from the winter nights around a glass of wine. Also totally unforgettable as one of the strongest and nicest scent I ever smelled is the quince put on the stove. An interesting figure of the Romanian Middle Age is Vlad Tepes Dracula, no doubt. He was brave, and well educated in Istanbul, but had the nerve to defy and fight against the almighty Turks, who came here with a huge army to put the things again in control. Dracula's army was much less, but he had a brilliant saving idea, maybe the only one which he could carry on under those circumstances. Namely he attacked the Turkish camp by night. It was one the rare situations when his perfect Turkish knowledge showed to be useful. Vlad Tepes Dracula himself attacked the tent of the omnipotent Sultan, who escaped the death just because was visiting a neighboring one. Anyway, the Romanians from Wallachia lead by Vlad Tepes caused big damages to their enemies, which retired next day. 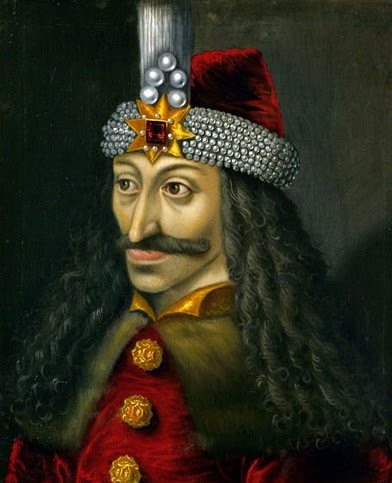 Another legend about Vlad Tepes: once, when receiving the Turkish messengers, those refused to uncover their heads. The Romanian ruler decided then to nail their turbans on their heads in order to keep the hierarchy. Equally ruthless was Vlad Tepes against the inside ennemies: after inviting a lot of the local landlords to a pantagruelic dinner, he order to execute many of them through putting them on spikes, which was his favorite way of torture. For the others who bagged mercy he prepared the building of his citadel in Poenari. As Vlad Tepes should to live the country unexpectedly, some people have been looking his hidden treasure in Poenari or in his birth house in Sighisoara. Vlad Tepes has ruled not very long, only 6 years, but for his faith and bravery be was and is still beloved among the Romanian people. The rest of the legends about Dracula are the creation of Bram Stoker and Hollywood, but they are useful for the development of the Romanian tourism. Many castles and places in Romania try to make a profit on Vlad Tepes Dracula, but most of them don't rely on historic proven reality. Further, another interesting legend about the forming of the two most important rivers in Romania: The Muresh River and The Olt River. The both have their sources in the Hasmas mountains, close to the resort Izvorul Muresului. It is said that a few thousands years ago Hasmas was a local ruler and landlord, having two sons. You guessed, the sons names are Olt and Muresh. As he grew older, he talled to his sons to keep together, as they are unbeatable. He also gave to each of them a half of this shield. During a fight, after days of brave and successful fight for Olt and Mures, the enemy ruler, aware of their strength when they are together, invited them to peace talks, but separately. They accepted by mistake, being trapped and killed. As a punishment, their father transformed them in two rivers going in opposite directions, becoming himself a mountain. But they still watch up today against the ennemies of the Romanian people.